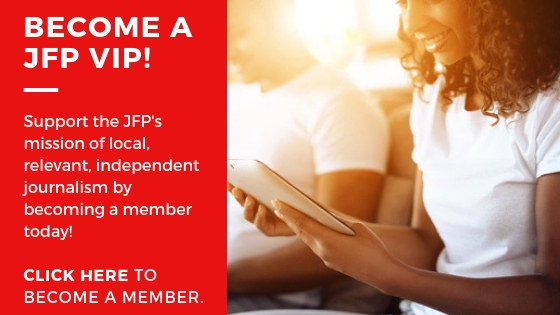 I can not believe that my last day at the JFP is tomorrow. It seems like yesterday that I came in on June 1, and got right to work doing what was needed. This experience has taught me more then most of my classes. In class, we usually create stories or situations to report on, and here the situation is real. I think I just describes exactly what an internship is. This is not my credited, make a presentation in front of other students that had internships, internship. That will be next year, and I honestly have no clue where that will be. I really enjoyed the experience, and it has been extremely helpful. You hear people talking about internships where you run and get coffee for the boss, but this was no where near that. From the very first day I was sent out on assignments, taking photos and calling businesses up for information. I have had a piece or photo in every issue since I have been here. I thank the JFP for allowing pieces that I do to be placed in their paper that everyone works so hard to create. Starting Friday, I will be packing up my things and heading back to Monroe next week. I still have a few things to be finished, and I am also working on a few projects after I am gone. No more Cups card, or my cheeseless pizza with mushrooms every Tuesday. I advise anyone looking for a journalism or communications internship to take this up. 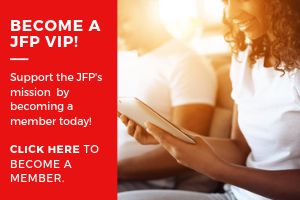 The JFP gives you an experience I do not think many other places will give, and for that I am very thankful. Thank you JFP and goodbye.